True stories of those who live with the shades of those long departed who refuse to leave the place they once called home. Podcast of classic horror, mystery, adventure and ghost stories. 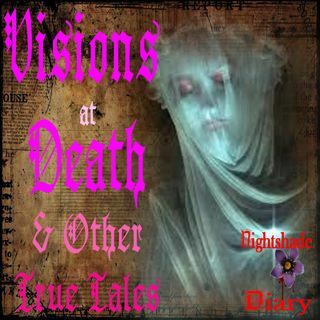 From the pages of Nightshade Diary come the haunting and hair-raising tales of ghosts, murder and mayhem. Who's hiding in the closet? What's under the bed? You'll be asking yourself these questions after you listen to these creepalicious ... Más informaciones tales that'll have you leaving the lights on when you go to sleep. PLEASE SUBSCRIBE AND LIKE OUR VIDEOS & PODCASTS THANKS!